Installing roller blinds in your windows is one of the hottest trends in interior design these days. Roller blinds do not only make a home look more attractive but also provides numerous benefits including security and privacy. Needless to say, the popularity of roller blinds is without a surprise, given the many advantages it offers. As stated above, roller blinds can make your windows look more attractive. Roller blinds can vastly improve the appearance of your windows both from the inside and from the outside. With a large variety of styles and colors to pick from, you won't run of options. You can match or mix colors to find the right style of roller blind that will suit your windows. Most roller blinds are made from translucent, sunscreen and block out fabrics. Roller blinds are considered by many interior designers to be one of the best ways to give windows a modern, contemporary look. Naturally, roller blinds come in all manner of styles and designs meaning that the homeowner must make key decisions from which to choose and install. With a range of fabrics and colors on offer, rollers are extremely versatile and give those decorating many options to create an individual style to a home. By taking a detailed and conscientious approach to choosing rollers, it is possible to find a solution that best suits your home and interior. Naturally all except the most hardened exhibitionists like to have some form of privacy when in their home. For ultimate privacy a full blackout blind is the best course of action; these are constructed from a thick material and as a result can block all of the light that enters a room, hence giving those inside complete privacy. 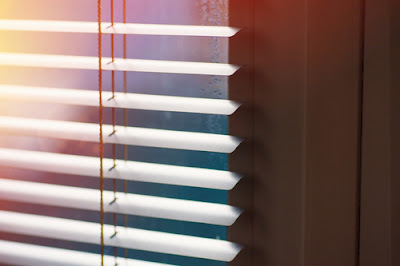 There is, however, another option; lighter rollers are often labeled as day-night blinds. They give a room a light filtering during the day, allowing in enough light for the room to be comfortable while also letting in the heat of the sun. The benefit of this type of blind is that at night it still completely blocks those outside from viewing the interior. This type of blind is usually suited to rooms like the kitchen that are in use throughout the day. Roller blinds do not have to be made from solid material though. Some manufacturers are now producing rollers made from materials such as lace in order for them to be an excellent style choice. Care should be taken, however; lace will not have the same light shielding properties as a solid blind but will create impressive light effects when the sun is shining. Regarding privacy they are limited, giving partial obstruction of view. These are usually suited to rooms like the dining room where privacy is less of an issue. When selecting roller blinds, it is important to take a look at the interior of a home, the color of the walls and carpets as well as the patterns on soft furnishings. By undertaking this process, it is possible to find a blind that can be matched to the existing style and will not look out of place once installed. As previously stated rollers come in practically every color under the sun, and hence the homeowner can choose a window covering that gives an interior that bespoke feel. Apart from lace, other patterns and styles are available as rollers. For instance, envelope and castellated blinds can be a great addition to any home. An envelope blind is shaped like an envelope at the bottom meaning that when it is raised the window is given extra lines and symmetry. Castellated blinds look like the tops of a castle and can bring an elegant and stylish design to a room. The options are literally endless, with options for different patterns at the bottom of the blind and even ringed eyelets that create an interesting and beautiful stylistic window adornment. The following are some of the tips that may be helpful to you in choosing the best blinds for your windows. Since these blinds come in various styles and colors, you can easily select the one that matches your home decor. Now you have the greatest benefit to choose from both the mechanized type of blinds as well as the manual type of blinds as per your convenience. 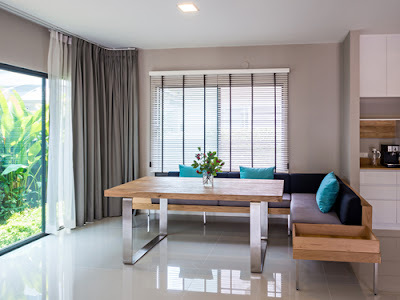 First, you need to decide the type of blinds that you wish to have, for example, the Roman, Venetian, vertical, aluminum blinds, horizontal or the timber blinds. 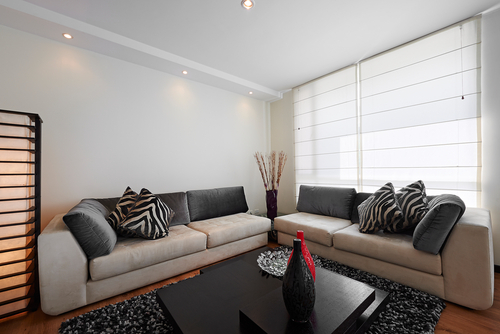 After deciding the relevant type of blinds, you have to choose the right type of fabric. The material should match the decor of the room as well as other accessories inside the room. Depending upon the amount of light and the privacy you need, every room will have different fabrics. The fabric for the bedroom blinds can be thicker than the other rooms because you need more comfort and more privacy in your bedroom than other rooms. Fabrics can be chosen to fit the theme of a particular room. For example, if you have a particular design in your bedroom, a certain fabric can help accentuate this look. It is important to measure the windows and doors to make sure that you select the perfect sized roller blinds. If you do not, you will be wasting money on blinds that may not fit at all. Make sure you pick blinds that are of high quality. This will allow the roller blinds to be used for many years to come. There is no sense wasting money on poorly made blinds. Hopefully, this article has highlighted some of the window blinds on offer today, how to choose the right roller blinds and how they can be used in the home to create style and chic window coverings. As a homeowner, an approach that takes into account existing design features will result in the best outcome.